The first of three identical 25m yachts, S/Y Elettra brought the revolutionary concepts of Perini Navi to the world of smaller, fiberglass yachts. 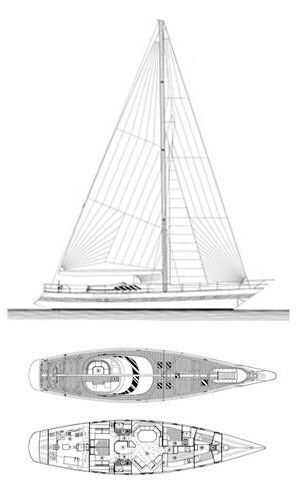 For its time, S/Y Elettra featured an iconic design, with its hemispherical helm wheel encompassing the navigation pod, and the first ever fully integrated cockpit area designed into its enclosure for robust and permanent al fresco lounging and dining. S/Y Elettra also featured the first recessed half deck pilot house leading to the main salon and dining area. Other innovations included the retractable bow thruster and one of the first feathering propellers. S/Y Elettra is currently sailing in the Mediterranean.